New Mexico residents know full well about traveling throughout their state and the challenges that follow them during this task. Drivers often find themselves navigating through extreme weather conditions at high elevations and in low desert locations. Long-time New Mexico residents aren’t surprised to be delayed by livestock wandering off someone’s property onto a major road in the middle of the night. Unfortunately, tourists new to the region may become startled and veer off the road. These unique features present challenges to any driver, and in some cases, the obstacles become a hazard to all. The following details how New Mexico’s climate and landscape contribute to truck accidents. According to the New Mexico Department of Transportation’s Annual Traffic Accident Report from 2015, heavy semi trucks were involved in over 2,443 accidents in 2015. Unfortunately, 49 of those crashes resulted in deaths. Truck accidents accounted for a smaller number of all vehicular crashes in New Mexico compared to other types of accidents and made up 10.7% of all traffic deaths. The data provided suggests that truck accident fatalities in New Mexico are on the rise and more accidents are occuring. These numbers may be shocking to some because of the low volume of traffic that comes through New Mexico on a yearly basis. The state’s two major trucking routes are I-25 and I-40, which run past many major cities and truck stops. Some truck drivers consider New Mexico as a stopping point before their final destination of either California or Texas. For other truckers, the goal is to pass through quickly with as few stops as possible. Unfortunately, this type of mentality causes drivers to engage in behavior that could result in accidents. 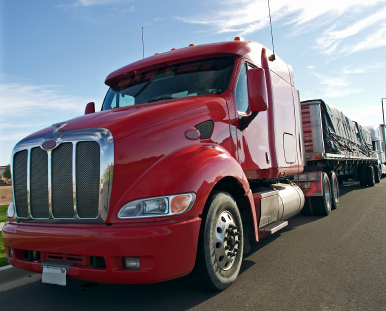 Despite all of the federal regulations, truck drivers still drive on the road fatigued. The 400-mile stretch of New Mexico’s I-25 and I-40 can push any driver to their limits, especially if they are on a tight schedule. This convinces some truckers to falsify their driving logs to reach their final destination on time. Unlike other states, New Mexico doesn’t have a lowered speed limit for semi trucks. This allows them to travel on the interstate at speeds of up to 75-miles-per-hour. Many state legislators believe this is an unsafe speed for these type of vehicles. The result can be devastating for those traveling alongside them if an accident occurs. Long, straight, and empty roads are an invitation for disaster. Truckers will often call home, check emails, or catch up with news on social media sites when few people are around. This type of multitasking is extremely dangerous to all on the road because their actions increase the chances of a major accident happening. Traveling on either I-25 or I-40 can be confusing to drivers who are not familiar with navigating these highways. Not understanding or recognizing road signs can make driving a semi truck a difficult process because truckers must look at maps or GPS. This type of distraction contributes to a high number of truck accidents nationwide. Hazardous weather conditions cause accidents and crashes throughout the United States. New Mexico’s geography creates unpredictable weather patterns throughout the year, which catches many drivers off-guard. In the spring, snow from higher elevations that has accumulated during the winter months will melt away. In the summer months, treacherous thunderstorms can cause severe flooding to New Mexico’s valley communities. These types of weather conditions can close highways because of the debris left on the roads. Truckers often make the mistake of traveling in these unsafe weather conditions. Snowfall is expected in New Mexico during the winter, but some drivers are still surprised by the blizzards or squalls that can happen suddenly. Slick roads and poor visibility contribute to a number of pile-ups along the roads in new Mexico, especially with drivers who are not used to the conditions. Truckers should be especially cautious when driving in extreme weather. New Mexico’s severe thunderstorm season happens in July and August, which brings heavy downpours and crashing lightning. It isn’t wise to drive in these conditions, but some truckers do because they must complete their assignment. Stress, dangerous conditions, and fatigue are some of the most common causes of truck accidents in New Mexico. If you have been involved in a truck accident in New Mexico, contact Attorney Dean Boyd today. Call us at (806) 242-3333 or Contact Us by email to learn more about our Services. You can also visit our offices at 4423 SW 45th Ave in Amarillo, Texas or 5012 50th St #103 in Lubbock, Texas for more information on how we can help you with your personal injury claim.